At Promotion Pros, we believe in giving you tons of options for outfitting your company with brand-specific products, which is why our custom golf tools are so awesome. Take a look at our huge range of personalized golf brush sets, magnetic divot repair tools and even promotional golf tool key holders. Our supply includes a wide range of colors and styles as well. Our collapsible Koozie golf tee kits are perfect to pass out to customers because even if they don't golf, chances are they'll enjoy the can cooler. The Callaway 6-Ball Valuables Pouch is specially designed to keep valuables secure and allows including corporate logo for Brand Recognition. Our Club House Travel Kit features variety of color options and allows adding brand logo to create impressive Personalized Giveaways. Our KOOZIE 6 Pack Kooler Golf Event Kit features variety of color options for cooler and allows adding brand logo for impressive Company Logo Products. 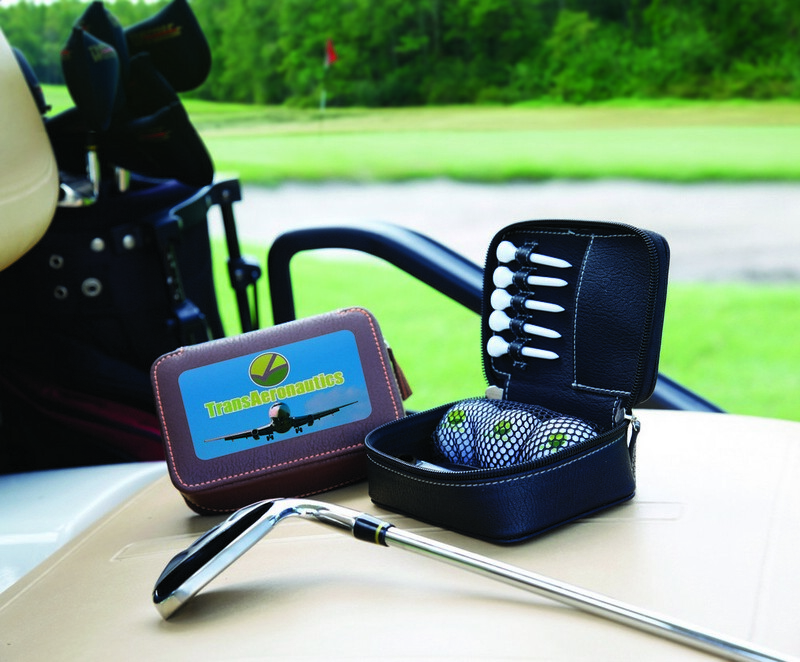 Our Zippered Golf Gift Kit features golf tees, balls, ball marker and other tools included and allows adding custom logo for Brand Recognition.